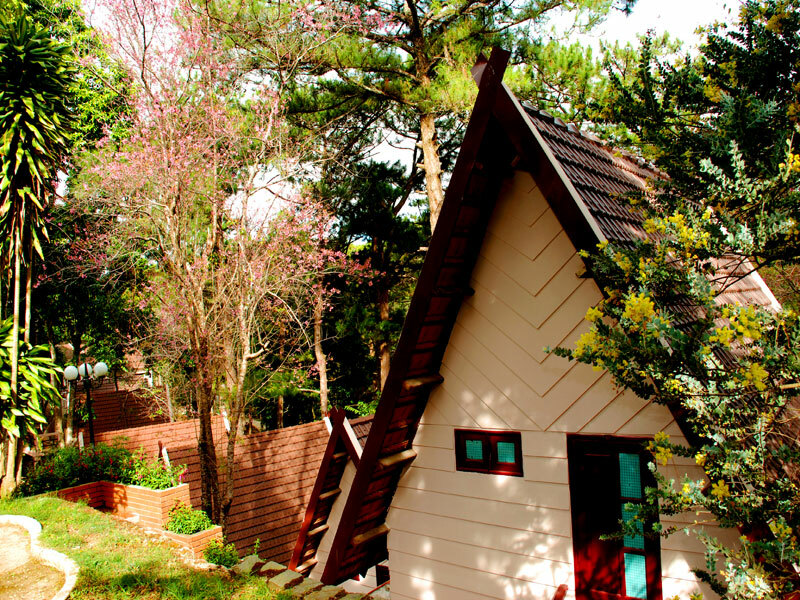 Minh tam flower garden is one of the most wonderful resorts with the combination of flowers and hotels. 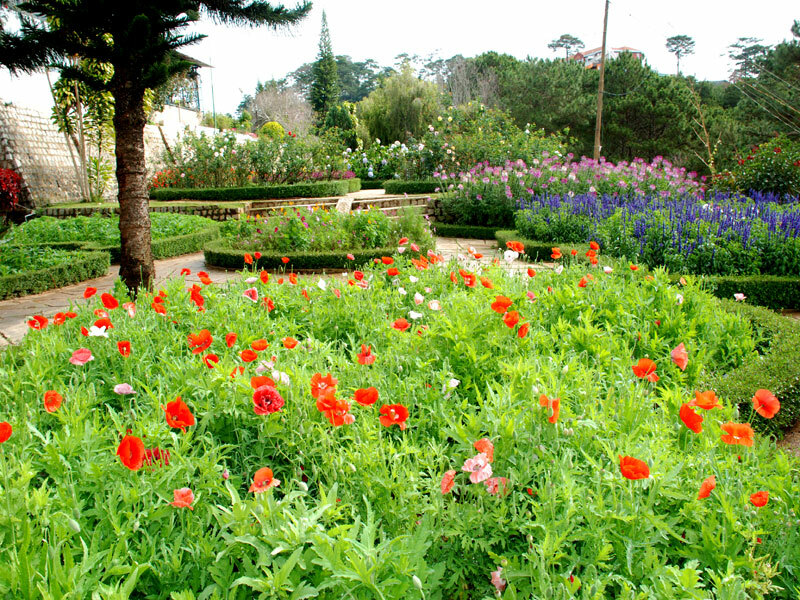 Located at 20A, Khe Sanh Street, Da Lat city, Minh Tan flower garden with total area of 18 ha was designed by French architect. It had been a villa of a Frenchman begun its construction from 1938. After coming back France, he sold his villa to Mr. Ngiep Doan. Afterwards, garden in additional renovation and construction of the owner together with ecological environment and fresh and cool climate created ideal resorts for tourists loving quietness. Inside the garden, the owner plants and cares many kinds of flowers including current domestic and international valuable flowers. Nowadays, minh tan flower garden are making plan for preservation, restoration and development of valuable seeds of flowers in Da Lat such as Hydrangeas, carnations, Mimosa ,pelargonium, Hibiscus mutabilis, Salvia splendens and a variety of colorful breeding roses in order to serve domestic and foreign tourist’s demand for sightseeing and retreat. Skillful floriculturists here helped to create it specific original features attract many tourists coming this destination. 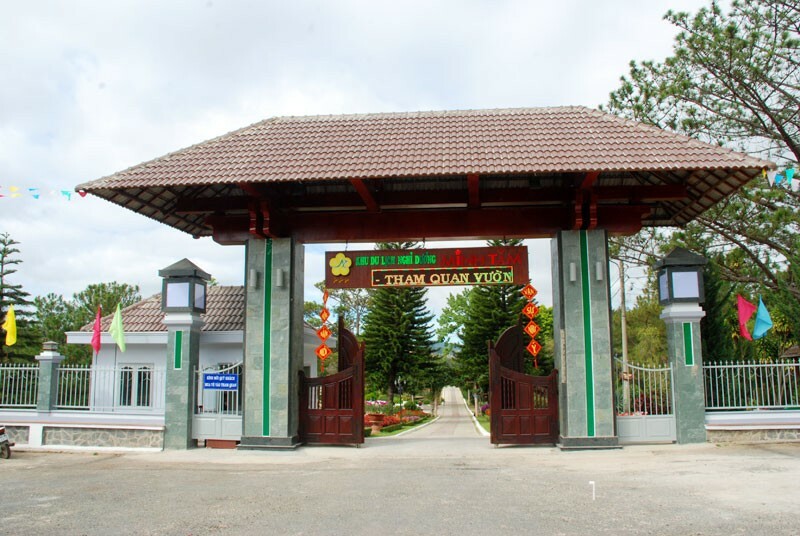 There are 120 rooms with modern equipment which achieved three-start standards admitted by department of tourism and trade and 15 resorts designed with the unique style of communal house in the Vietnamese highlands. Until now, the system of hotels in minh tan flower garden have achieved a variety of trophies including Green Hotel Gold Cup in 2008 and certificate of merit for “green mark” record during 10 consecutive years (2004-2013) from president of lam dong committee. 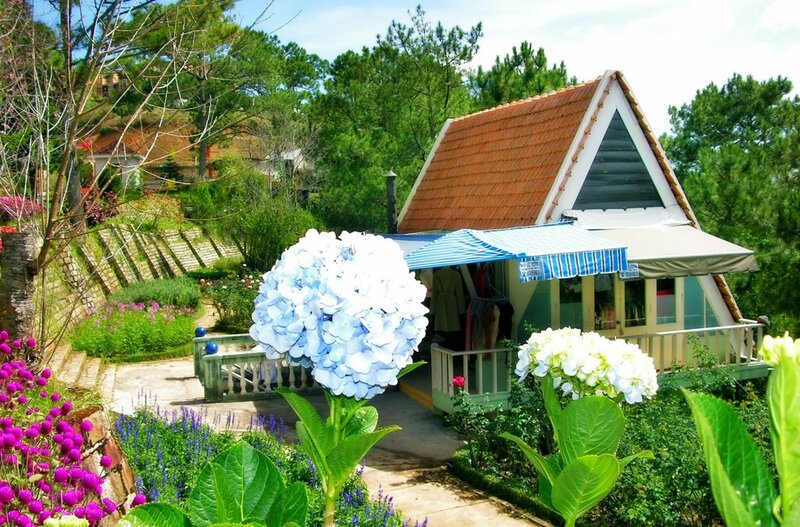 If you have opportunity to travel Da Lat city, let’s try visiting minh tan flower garden for once to mix with nature environment here and enjoy the beauty of flowers blooming all year round and Pine Hills with endless green color in a distance.